Madonna has confirmed Katy Perry as the first guest curator for Art for Freedom in 2014 for the month of January. 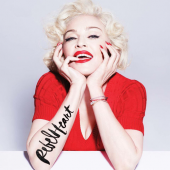 Katy will collaborate with Madonna to select daily submissions to be showcased on artforfreedom.com. Since launching in September 2013, Art for Freedom has received over 3,000 submissions globally via artforfreedom.com and its social media platforms. "Art can change the world, but first it needs to be seen and heard," said Madonna. "Katy Perry and I are asking you to be that voice and show us how you define freedom in 2014. This will be a year of monumental changes for human rights, and we want you to be a part of that change. Let us hear from you." "I am so fortunate to have the freedom to express myself through music," said Katy Perry. "Now I'm calling all of my incredibly creative KatyCats to use their talent to show Madonna and me how they express their freedom. I believe that 2014 can be a year of great social change. Together we can all stand up for Human Rights. Join the conversation, and let your art be your voice." As part of the Art For Freedom initiative, Katy Perry will work with Madonna to select one artist during the month of January whose creative expression demonstrates a unique view of the fight for human rights. 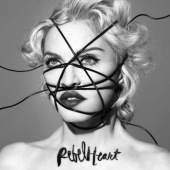 Madonna will then award a $10,000 grant to a nonprofit organization of the winning artist's choice. All projects must be focused on the values of Art For Freedom. David Blaine served as Art for Freedom's guest curator for the month of December. Launched in September 2013, Art For Freedom is a global digital initiative, led by Madonna in partnership with VICE Media, designed to fuel free speech - to respond, address and protest persecution and discrimination around the world. It is an online public art project encouraging people to express their personal meaning of freedom and revolution, in the form of video, music, poetry, and photography. Public submissions become part of the Art For Freedom website: contributors can join the project by uploading original artwork or tagging original posts #artforfreedom. 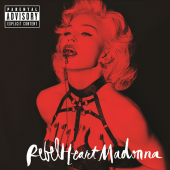 The project was launched with the film secretprojectrevolution, co-directed by Madonna and Steven Klein. You must to be logged in to comment on news articles. 202 guests and 69 members.